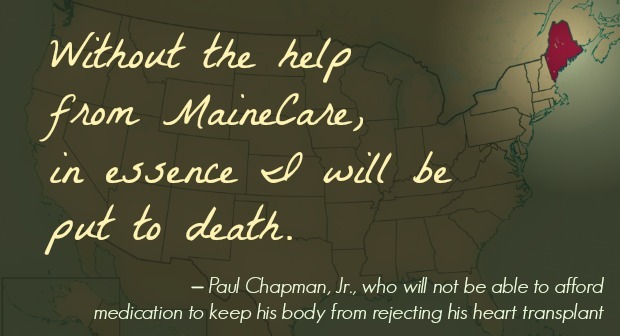 MoveOn has just won a major victory in federal court. 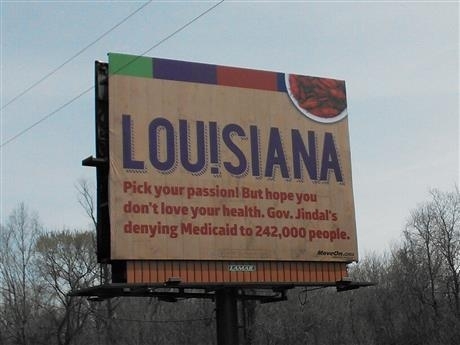 The state of Louisiana’s attempt to take down our billboard criticizing Gov. 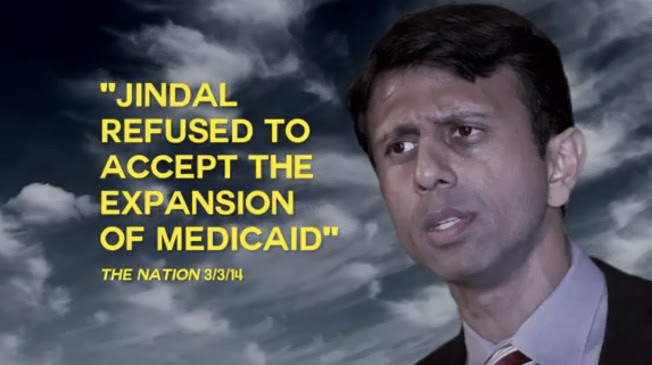 Jindal has been rejected. 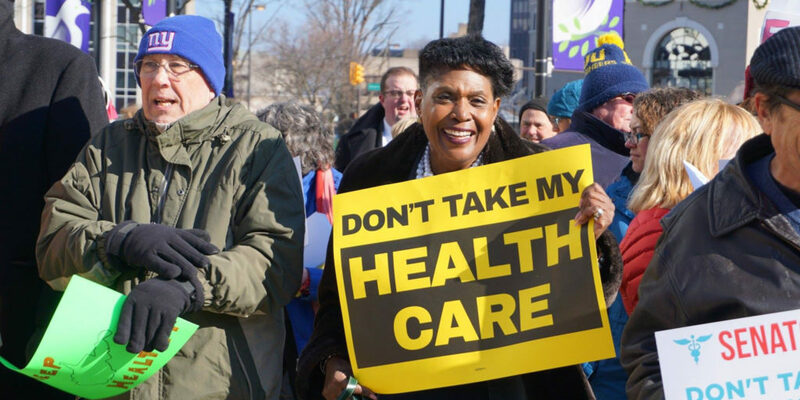 Meet Jennifer Lunden and Linda Cook, two first-time MoveOn petition-starters who, together with nearly 30,000 signers, are fighting for healthcare. 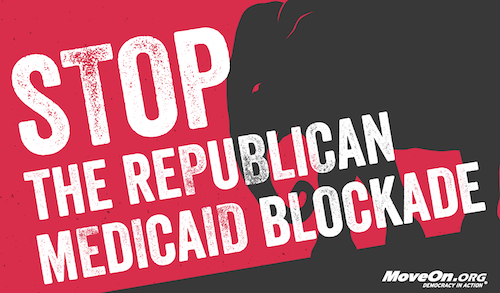 As Republican governors and state legislators face increasing criticism for failing to provide access to health care for some of their poorest constituents, MoveOn members in Texas, Nebraska, Florida, Louisiana, Wisconsin, and Virginia are using billboards, petitions, and rallies to ratchet up the pressure on their elected officials and urge them to accept federal Medicaid funds, which would allow them to extend health coverage to more than two million Americans. 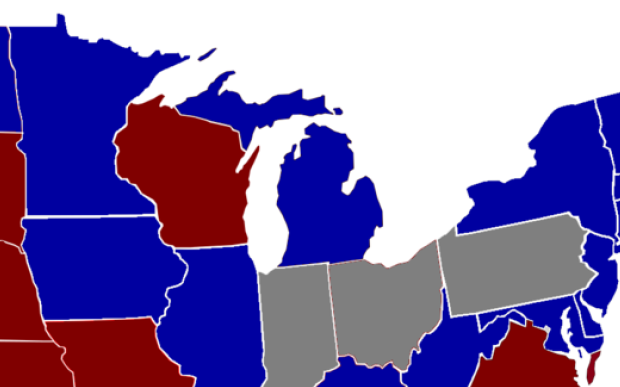 The health of Michiganders was at stake while Republican Governor Rick Snyder decided whether to accept new federal dollars to expand the state’s Medicaid program. That’s why Fran Brennan of the organization Working America created a MoveOn Petition to Governor Snyder, asking him to accept the funds. 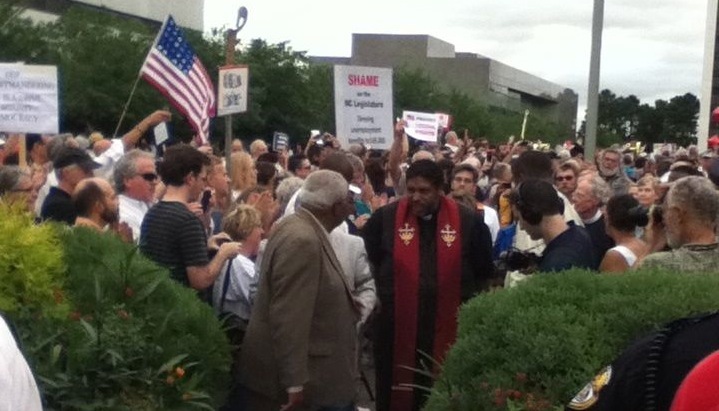 Today, led by North Carolina resident Shawn Trimble, MoveOn members gathered at North Carolina’s Capitol building to deliver a petition with more than 11,000 signature to members of the legislature and Governor McCrory.